It’s happened before. You’ve bought the perfect game, the one you know your best friend/coworker/sibling/particularly hip grandma, only to find out that they’ve already gotten it for themselves, sometimes with the pot won from their retirement home’s euchre game. 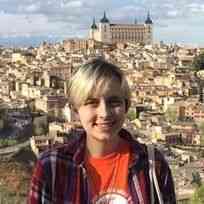 That’s what gaming gear is for: instead of worrying about what to get them that they don’t have, you can cast a critical look at their setup and get that grandmother what she’s lacking, whether it’s a new headset, a powerful router for her Acer Predator, or any other number of gaming accessories. This gift guide is here for you. This year, Logitech’s broken records with thirteen Red Dot 2018 Product Design awards, so, you know, it just might be a good time to pick up their products. 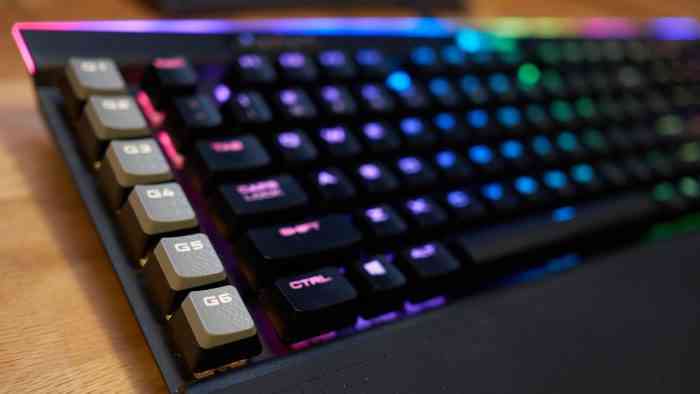 If you or someone you love (or are at least willing to spend some money on) are in the market for a new keyboard, the Logitech G Pro Mechanical Gaming Keyboard is one of those award-winning designs, and it comes complete with that popular rainbow-on-black color scheme that, in my eyes, promises unilateral support for LGBT equality. That’s what it means, right? Right? Logitech’s got plenty of rainbow (and not) products outside of keyboards, from their huge selection of gaming mice like the G305 and their lineup of headsets, which includes the Logitech G Pro Gaming Headset, which might not be the most aesthetically thrilling headset but will please your family and friends by having long-lasting, quality sound. 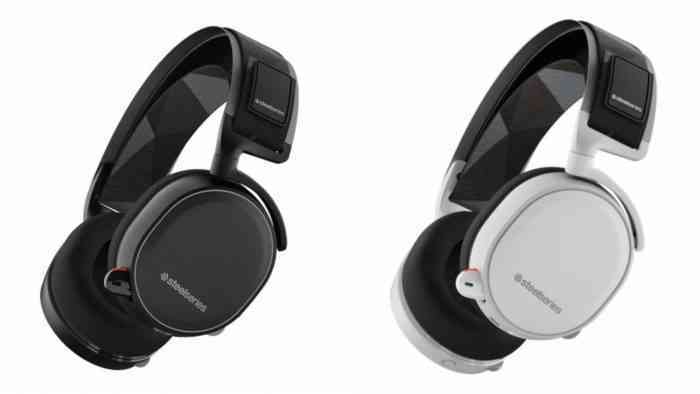 I promise this list isn’t going to be all PC-focused, but while we’re here, SteelSeries is among the best in the accessories game. When it comes to mice, their award-winning Rival 600 has a 1 to 1 esports sensor combined with a sleek, glowing design that pairs well with the SteelSeries Arctis 7 gaming headset, which is both wireless and claims the best mic in gaming. 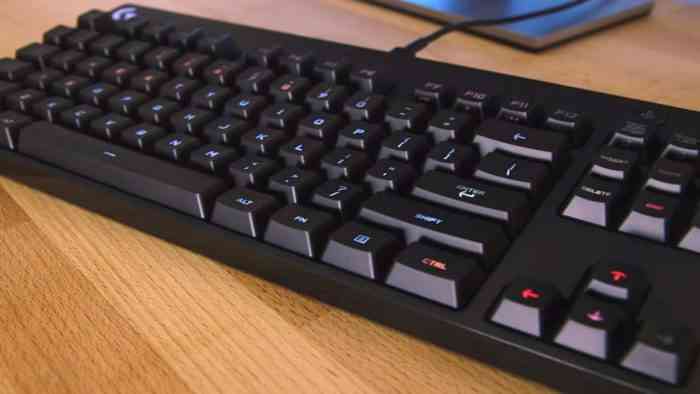 And, of course, they’ve got the whole package with their keyboards, considering that they’ve got one of the best affordable membrane keyboards on the market with the Apex 100, as well as the backlit, mechanical Apex M750 that can even has in-game Discord lighting notifications. Options? They’ve got ‘em. Turtle Beach is a headset wonderland. 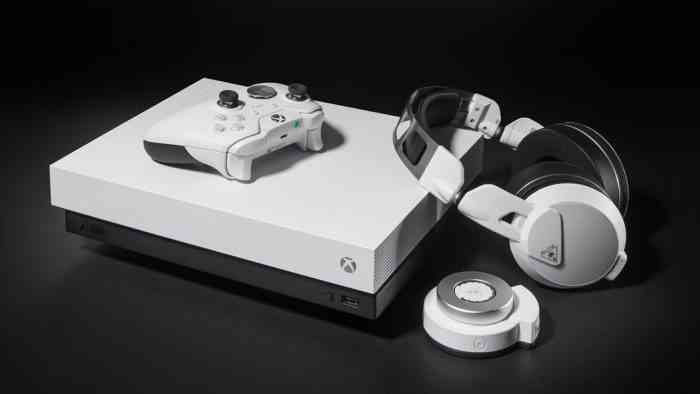 With a strong lineup of multi-console headsets this year between the Elite Pro 2 Gaming Headset with SuperAmp and Turtle Beach Elite Atlas Pro Performance Headset, which both deliver on their promises and boom with crisp sound and comfort in spades. The SuperAmp of the Elite Pro 2 Headset makes the bass tones even richer, while the Aerofit ear cushions of the Elite Atlas Pro provide a comfortable ride into a gaming sunset (or, in my case, a descent into an Overwatch-addicted madness, as detailed in my review above). For many, Astro is the go-to brand for high-end gaming headsets. Our favorite is easily the Astro A50’s. 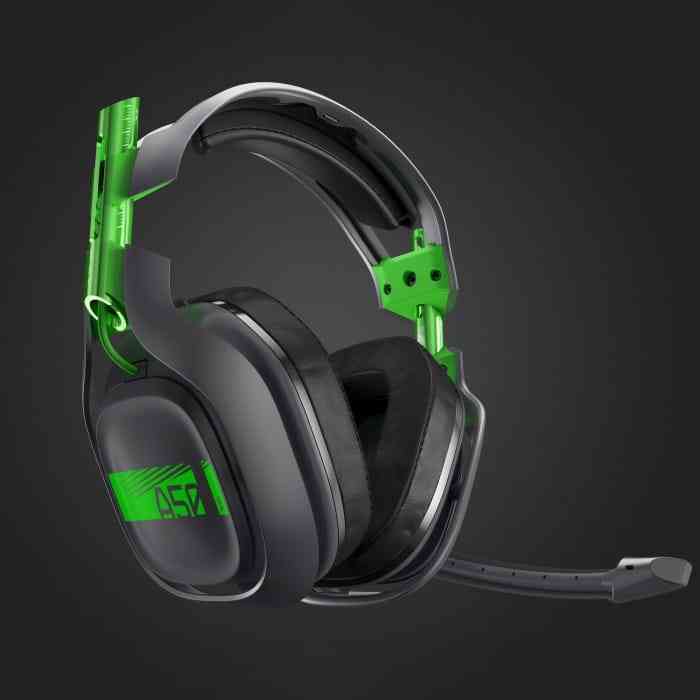 The Astro A50s are one of the best wireless 7.1 Surround Sound headsets on the market. For use with pretty much every platform, the A50s are perfect for any multi-console owner and the ideal set of cans for those looking to invest in a fantastic headset to use for the foreseeable future. When it comes to sound, look, and comfort, the A50’s might just be second to none. So if you are looking for a top-notch headset you can use for all your gaming needs, the Astro A50’s should be at the top of your list. While it is personally surreal to me that the original PlayStation is old enough to be re-released in the manner of the SNES and the NES (especially considering I picked up an original for fifteen bucks just a couple years ago), the PlayStation Classic came out last holiday season and is still worth taking a look at if you or someone you loved enough to buy video game gear for hasn’t gotten their hands on it yet. 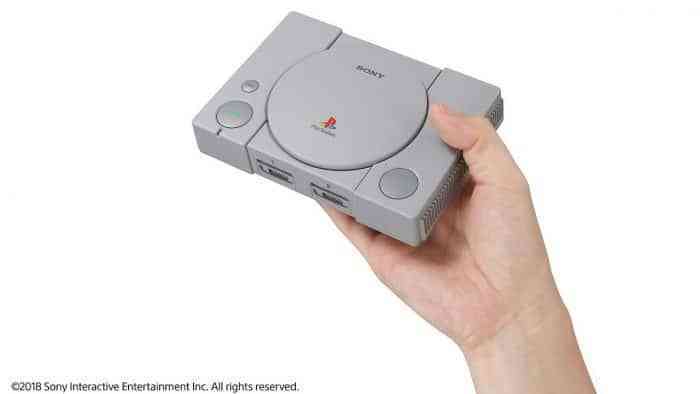 It comes pre-loaded with twenty games, including Final Fantasy VII, Tekken 3, and Jumping Flash, so if you or someone you know is itching for that classic game feel, the PlayStation Classic is worth checking out. 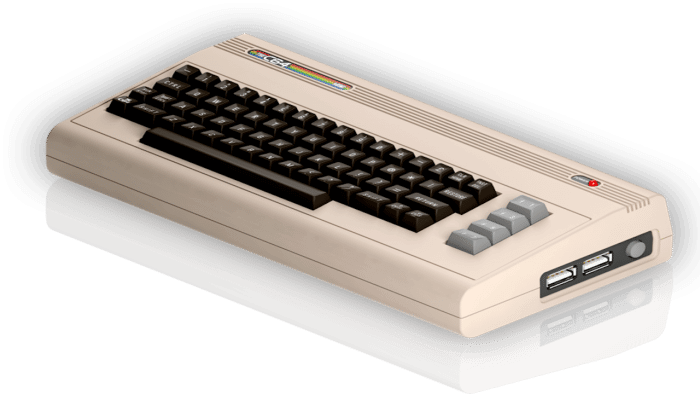 If your hankering for classic games goes back a little farther than the PlayStation Classic, the C64 Mini recently released, and while our review noted limited game selection and some disappointing plastic features, it’s still a lot of fun to relive the early ‘80s with the Commodore 64, especially when it has favorites like Summer Games II, Sword of Fargoal and Impossible Mission. It’s loads of old-school fun, and if you have a retro gamer on your shopping list you might just make their face light up.